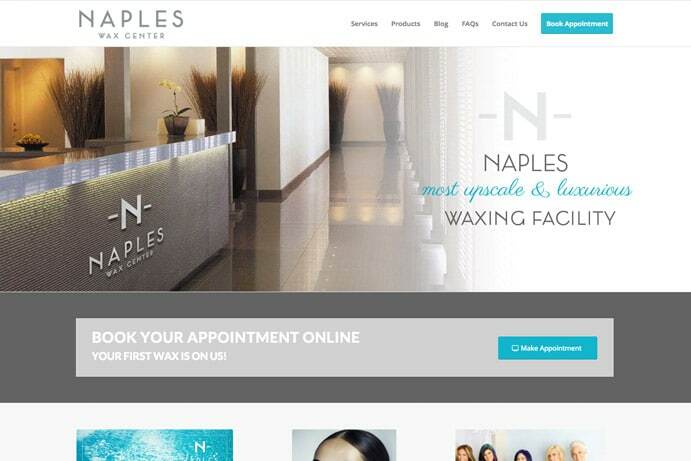 We completed a beautiful website for this new company when they opened in Naples, Florida in October 2015. 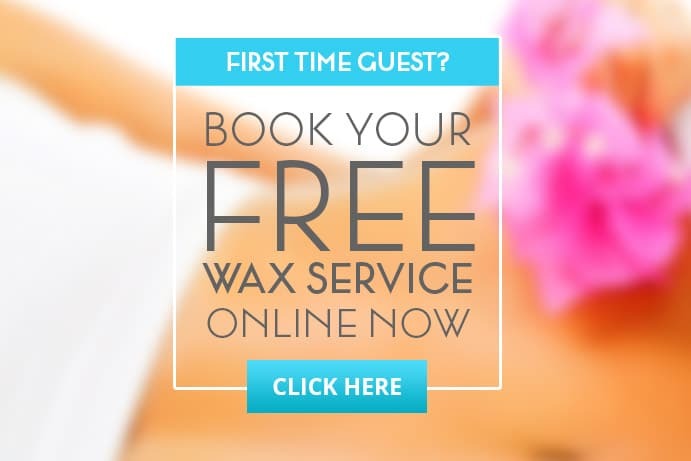 The website allows visitors to view the menu of waxing services and packages available at the facility and book & manage appointments quickly and easily online, whether on a desktop, laptop or mobile device. 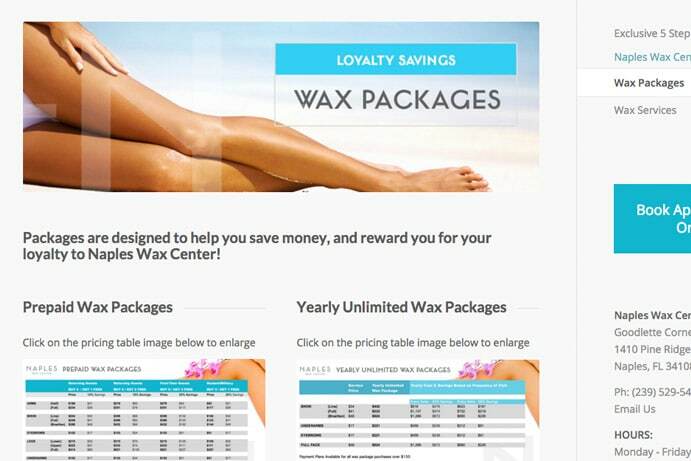 Our design team created several stunning pieces to communicate NWC’s brand message and overall the new website provides them a strong, memorable online presence to be proud of and one that is sure to attract many customers in the Naples, Florida area.